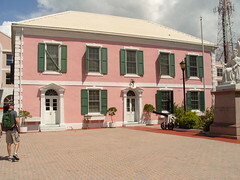 NASSAU – Value Added Tax has been implement in the Bahamas, despite concerns that it will negatively impact the islands’ poorest citizens. On January 1st the new VAT system in the Bahamas came into effect with a rate of 7.5 percent, and businesses now have until February 28th to ensure that they are fully compliant with the new system. The enforcement of the VAT system is accompanied by the removal of several excise duties on goods and products, and the drop of the previous tax on hotel accommodation, with the cumulative changes expected to make tax compliance easier, while, at the same time, making tax evasion harder. NASSAU – The extra tax revenues that the Bahamas will see after implementing VAT will help the country reduce its budget deficit by 0.5 percent this year alone. Over the weekend the International monetary Fund issued a statement describing the results of a recent on-site visit of the Bahamas, showing that the national government is making progress towards improving its fiscal position, but the growth is dependent on the smooth implementation VAT in the near future. According to the IMF, the fiscal deficit in the country has now reached 4.5 percent of GDP, compared to a level of 5.4 percent last year. If the government does not run into any delays in implementing VAT, over the course of the 2014/2015 fiscal year, the fiscal deficit may drop as low as 4 percent. The Australian Government has signed eight new bilateral Tax Information Exchange Agreements (TIEA) in a concentrated effort to enhance global tax transparency and reduce offshore tax evasion. On April 6th-7th Senator Nick Sherry, Assistant Treasurer of Australia, announced the signing of TIEA agreements with The Cayman Islands, The Bahamas, Belize, Dominica, Grenada, Saint Lucia, Monaco, and the Turks and Caicos Islands. With the signing ceremonies complete, the TIEAs will be implemented upon the completion of legal ratification by both signatories. 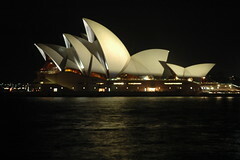 The new agreements raise Australia’s TIEA total to 22. The Commonwealth of the Bahamas has signed 7 more Tax Information Exchange Agreements (TIEA), bringing its total to 18, enough to be raised from the Organization for Economic Development and Cooperation’s (OECD) Grey List of nations.